All too often, guests plan a beach vacation to Southwest Florida and forget about the key component when planning activities for the trip — the BEACH. 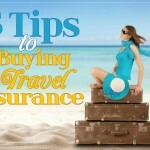 Water parks, excursions and dining can run up vacation expenses in a hurry, especially for families. But there are dozens of beach games and activities that come with little to no cost and can help you keep your vacation within budget. Here are a few budget-saving ideas for family fun that require minimal planning and won’t break the bank. Sure, those tropical breezes are Mother Nature’s air conditioning on a warm day at the beach. But the breeze is also great for flying a kite. Everyone from the young to the young-at-heart loves to look upward and see something soar, so pick out a colorful kite and let your imagination take flight. Kites have come a long way in recent years, and today’s kites range from the traditional with a simple body and a tail, to performance kites that do flips and other mesmerizing moves. Kites with streamers and tails always seem to catch the attention of everyone around, so toss out a kite and hold on tight. You are in control. 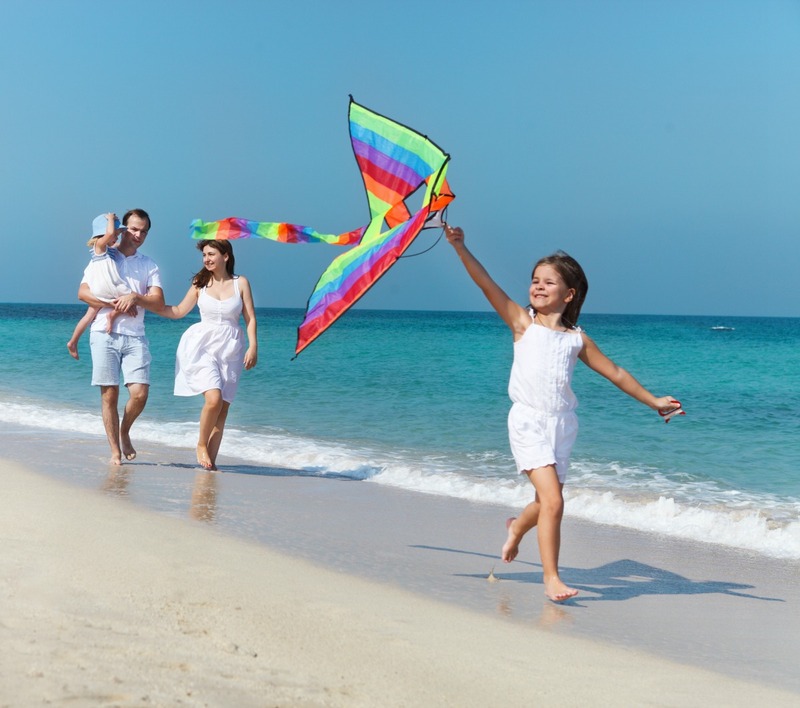 Perhaps nothing says family fun at the beach better than shaping those sugary white grains of sand into inanimate objects and creative masterpieces. Whether constructing a traditional sand castle or holding a friendly competition to determine who can build a better dragon, building sand sculptures is a great way to bond with family or friends while still enjoying the bountiful sunshine. Even if it’s just burying Dad up to his neck in sand, this is a photogenic beach activity that puts a smile on everyone’s face. So fire up the imagination and put your artistic side on display. 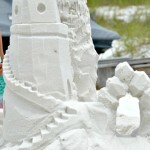 For inspiration, check out BeachGuide’s Sandcastles on Pinterest. 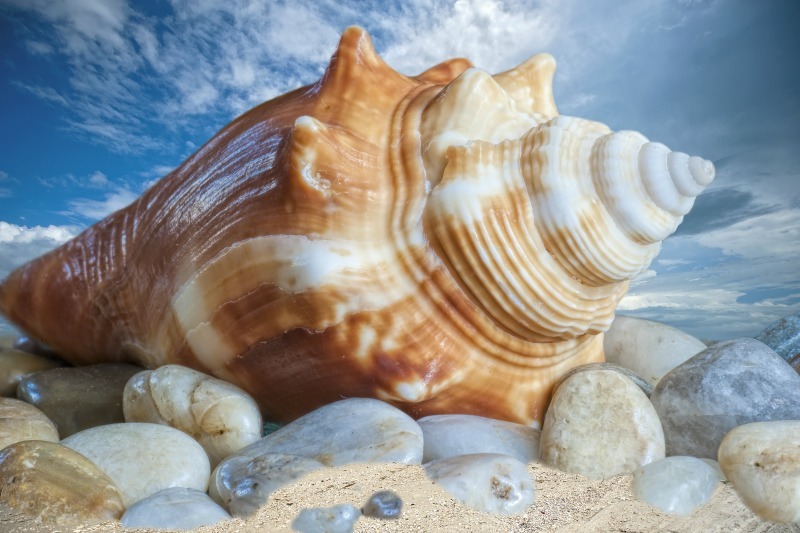 It’s a fact that thousands of eclectic sea shells dot the beaches of Southwest Florida, especially Sanibel and Captiva Island, like paint on an artists’ canvas. Sea shell hunting is a true family activity, as you can spend an entire day collecting colorful shells like a treasure hunt. Perhaps you’ll spot a rare perfectly shaped sand dollar or a compelling cockle shell. Maybe you’ll score a majestic Horse Conch Shell — the official state sea shell of Florida. Sure, you can find these in most every local beach shop … but there’s something about finding it yourself that imprints a fond memory that plays like a movie every time you see the shell. 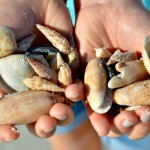 There are several different ways to dial up the excitement and adventure even more when seeking sea shells. You can turn it into a competition to see who can collect the sea shells with the most unique shapes, colors and patterns, or ones with holes ready-made for a necklace or bracelet. Or, you can collect specific shells for a particular art project like constructing a picture frame or making a shadow box to bring back to your home. Or make it a simple relaxing sightseeing getaway from the outside world. Just spend the day walking the beach by yourself and hanging out with the sand pipers. And end it with a spectacular sunset that recharges your batteries. BEACH BALL TOSS: You see them at nearly every concert and sporting event these days, but beach balls were made specifically with, ahem, the beach in mind. Waterproof, lightweight and slow-moving, these irresistible inflatable objects are versatile enough to be used on sand or in the water. A beach ball has multiple uses, too. Active families can have hours of fun playing keep-away, volleyball or inventing your own game. Beach balls come in a variety of sizes, are inexpensive and take up hardly any space at all when deflated. MINI GOLF: Make your own miniature golf course in the sand and take turns with with a plastic golf club and ball – or whatever you have on hand. BEACH VOLLEYBALL: Lots of resorts and condominiums have on-site beach volleyball already set up — but if they’re already being used or not available — bring your own lightweight badminton or volleyball net and either a volleyball or beachball. FRISBEE: Set up targets for frisbee golf or simply throw the frisbee back and forth for hours of fun. Relaxation is the main reason most come and vacation on the world-famous sugar-white sandy beaches of Florida’s Gulf Coast. 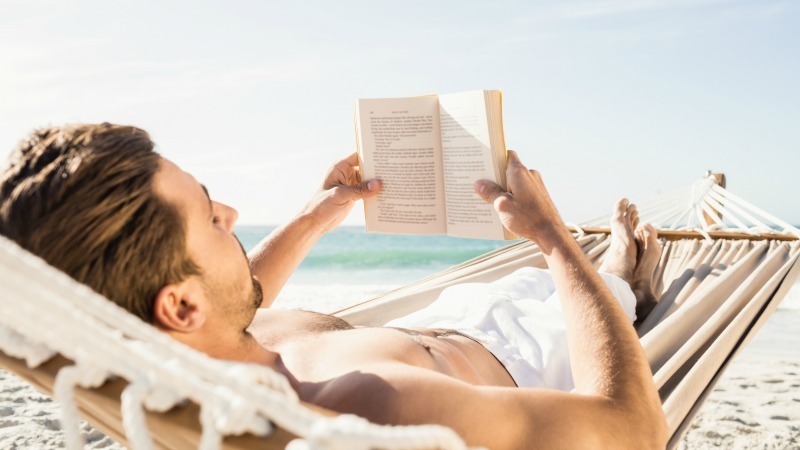 Imagine diving into that novel you bought six months ago … with warm sun and cool sea breezes as a beautiful backdrop. While there may be a cliffhanger in your book, the only drama in reading on the beach will be when to reapply the sun tan lotion and refill your tropical drink. 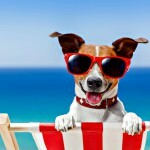 For easy budget-friendly vacation planning be sure to check BeachGuide’s latest beach vacation deals and our Affordable Escapes pinterest board.